It’s a very special year for Samsung and Android lovers alike as we celebrate the 10-year anniversary of the Samsung Galaxy smartphone. Samsung celebrated in true style at their annual Unpacked event in San Francisco by announcing three exciting new variants of the Galaxy – the Samsung Galaxy S10e, S10 and S10+. Plus, they announced all-new wireless earbuds called Galaxy Buds – the perfect companion to the new smartphone to enhance your listening experience! The Samsung Galaxy S10 range is now available to order now with Vodafone. The Samsung Galaxy smartphone screen just got even wider! The new Samsung Infinity-OTM Display allows you to enjoy an uninterrupted, cinematic viewing experience with no notch and no bezel – so you can feel like you’re at the movies every time you’re on your daily commute. Plus, depending on what screen size you prefer, the Galaxy S10 range has you covered. All S10 models feature the Infinity-OTM Display, however the Galaxy S10+ has a 6.4” display, while the Galaxy S10 has a 6.1” display and the Galaxy S10e has a 5.8” display1. The Galaxy S10 and S10+ also feature Quad HD+ resolution, while the Galaxy S10e supports Full HD+ resolution. Capture photos and videos in impressive quality – using just what’s in your pocket. The Samsung Galaxy S10 range’s professional-grade camera provides a full kit of lenses, a pro-level action camera and a built-in intelligent photo assistant, so your photos and videos can mirror real life. Forget the professional equipment or training – you can shoot fantastic photos just by using your smartphone. In exciting news, Samsung just announced their first-ever in-display Ultrasonic Fingerprint sensor in the Samsung Galaxy S10 and S10+. This feature uses ultrasonic waves and machine learning to read your unique fingerprint2. The best part? It even works under dry, cold conditions, so you’ll have peace of mind that you can unlock your phone with ease, while keeping your data and personal information safe. The ultimate power up! Share your device’s battery between your friends with this cool new feature in the S10 range3. If one of you has over 30% battery on your device, simply use the device-to-device recharge function with the device in need, with no wires or outlets required. This is a great function to use if you get stuck at a concert or festival, or camping and are far away from your charger but in need of a quick boost. In addition to the awesome Wireless PowerShare function, the Samsung Galaxy S10 range comes with a large battery capacity, coupled with a built-in battery manager, to help make your battery-life go further. This battery manager learns your daily routine and usage patterns, so intelligently adapts to your needs. This includes closing apps you don’t need, proactively managing power save mode and optimising CPU power to reduce the chances that you run out of power4. To help you take pro shots, the Galaxy S10 and S10+ have a full kit of camera lenses – including zoom5 for the better close ups, wide mode for daily shots and ultra-wide for getting everyone in your selfies and capturing panoramic landscapes. So grab a Galaxy S10, take it out and get shooting! The Samsung Galaxy S10’s dual aperture lens is designed to automatically adjust to the amount of light depending on the time of day. It can handle harsh bright light during the day or dim lighting at a restaurant or bar at night. Dual aperture supports F1.5 / F2.4 modes and is installed on the main rear wide camera. The ultra-wide lens on the Samsung Galaxy S10 captures up to four times more than a standard wide lens. With its 123-degree perspective, the ultra-wide lens ensures you can capture breathtaking landscapes and fit all your friends in a group picture. The Super Steady video mode in the Galaxy S10 takes away the shaking and makes your action videos look smooth6. You can use this feature to film sporting events and stunts – anything where you need a bit more stability. Be the envy of all your friends and experience a beautiful, ultra-premium, reflective ceramic rear finish, available on the Samsung Galaxy S10+ 512GB and 1TB models only. As trends start moving away from headphones with cables, Samsung have released some brand new wireless earbuds called Galaxy Buds. The Galaxy Buds feature long battery life (6hrs streaming), AKG sound for audio streaming, and the awesome ability to charge wirelessly from your phone. The earbuds also intuitively listen based on wearable detection (such as a Galaxy Watch). The Samsung Galaxy S10e, S10 and S10+ are available to order now with Vodafone. 1 Display size measured diagonally as a full rectangle without accounting for rounded corners. 4 Actual battery life varies by network environment, features and apps used, frequency of calls and messages, number of times charged, and many other factors. Please see user manual for instructions on how to care for the battery and achieve optimum battery life. 5Zoom lens not available on Galaxy S10e. 6Super Steady does not support zoom function. Performance may vary depending on the light condition. For personal use only. 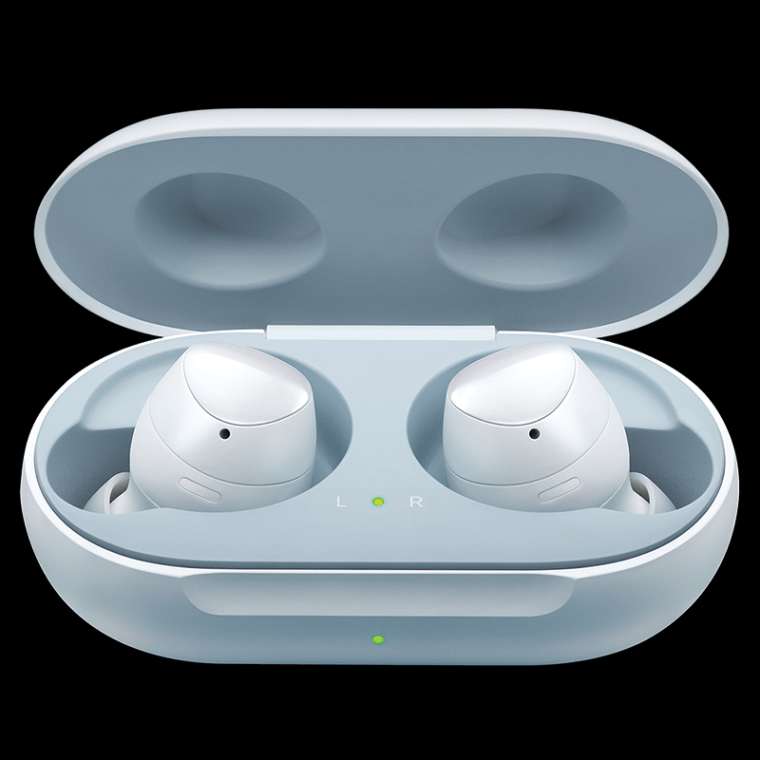 Galaxy Buds (RRP $249) (‘Gift’) available to Eligible customers (Australian residents aged 18 years and over or under 18 with permission from parent/guardian to participate in Promotion; and Australian businesses with an ABN and a registered office in Australia) who (i) purchase the Samsung Galaxy S10, S10e or S10+ (‘Eligible Device’) outright from participating Vodafone stores between 21/02/2019 9:00 AM AEDT and 07/03/2019 11:59 PM AEDT (inclusive) (‘Promotional Period’); or (ii) sign up to any Red Plan or Red Plus Plan with an Eligible Device on Mobile Payment Plan (‘MPP’) during Promotional Period. Max 1 Gift per device. Max 1 Gift per Business customer on up to 5 device purchases. Not for commercial/resale purposes or exchangeable/redeemable for cash. Subject to change and availability. Not available with any other offer. To the extent permitted by law, Vodafone is not liable for any loss, damage, or personal injury suffered or sustained in connection with using the Gift. Samsung T&Cs apply – see samsung.com.au/s10-offer/terms. For Red Plan or Red Plus Plan, minimum monthly spend and terms and conditions apply, see https://www.vodafone.com.au/plans.